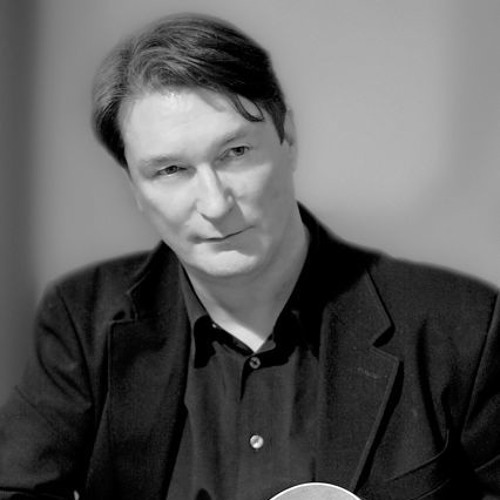 Singer and acoustic guitarist J Eoin has over 20 years experience as a live performer and studio musician in both traditional and contemporary folk music. Originally from Limerick City in Ireland, he began his professional career during the early ‘80’s touring as a solo artiste with Clannad and Scullion before settling in London where he established himself as part of the thriving Irish Folk scene there at the time. Early releases including ‘Ribbonmen’ (1991) and ‘Sean One Shoe’ (1994) defined J Eoin’s ‘Song Poetry’ style and received critical acclaim for their historical relevance and the quality of the song writing. After a period touring internationally on the festival and club circuit both as a solo performer and working as an accompanist covering a range of musical styles, J Eoin returned to the studio to write and produce. The result was the 2005 album ‘Exiles’, a collection of songs relating to his personal experiences of relocation, which was showcased and released at the 12 Bar Club in London’s West End. J Eoin occasionally promotes and MC’s ‘The Gloss Club’, a popular acoustic music night in London. Since its inception in 2007, The Gloss Club has attracted a number of international musicians including Irish acts Eleanor McEvoy, Mick Hanley and Sonny Condell. Irish New Folk legends Tir na Nog performed their London show at The Gloss Club in June 2010. J Eoin's new album, 'Acrobat' was recorded with producer Gerry Diver (Lisa Knapp – Wild and Undaunted). Released through Crescent Moon Records in 2012, it showcased at the ICC Hammersmith, London in February 2013.